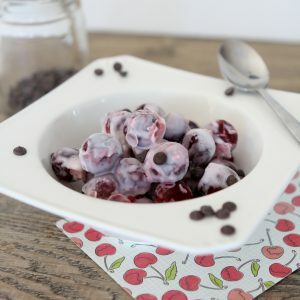 A few months ago I guest posted over at a Taste of Lizzy T and shared with them this Cherry Chocolate N’ice Cream and now I think it’s about time I share it with all of you. In case you don’t know what “n’ice” cream is, it’s basically ice cream made with frozen bananas. Essentially it’s pulverized into oblivion and creates this smooth sweet, soft serve-y goodness. My very first encounter with anything of the sort was long before I even knew what “paleo” or “whole30” was. It was about 5 years ago in Kauai. There’s a little shack called Banana Joe’s and that’s pretty much all they sell. Pulverized frozen fruit. I found out about it in a little guide and knew I needed to spend some time there. They take frozen bananas (or pineapple) and put them through an industrial juicer and out comes the creamiest most insane thing you’ve ever eaten. And it has nothing but bananas (or pineapple). My mind was blown. I literally wanted to eat several every day. In fact, I started to until Brad gently reminded me that eating 3 bananas several times a day probably wasn’t good for anyone. Talk about a buzz kill. Anyways, I always thought about this treat in the years after I had it, I even contemplated putting an industrial juicer onto my Christmas list. But I figured no one would be all that interested in buying me a $300 juicer for the sole purpose of smashing bananas. Fast forward to my current paleo days and one of the first things that I found out about was “n’ice” cream. Holy smokes, ice cream made from bananas? Duhh, sign me up. Please, take me back to Kauai! As any food blogger would do, I attempted to make this n’ice cream even better, take it a step further, and start adding some goodies to it. 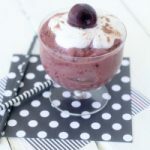 I’ve been on a kick with frozen cherries these last… six months. Pretty much ever since Costco started selling them. (As also evidenced in my Apple + Cherry Breakfast Frittata.) And what goes great with cherries? Hello, chocolate of course. But I just use cocoa powder to give the n’ice cream it’s chocolate-iness. 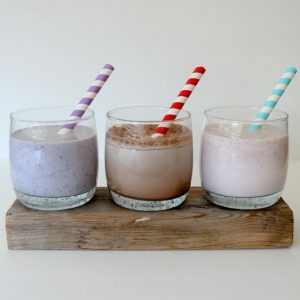 Now, there’s a ton of great paleo ice cream recipes out there but most require an ice cream maker. While I would really love to have an ice cream maker at home, I’m afraid it would just be another appliance that takes up precious cupboard real estate and would rarely get used. Right next to my invisible industrial juicer. 😐 SO! 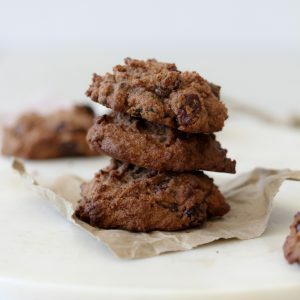 One of the benefits of this is that you can make it simply in any blender or food processor. Because we aren’t using one of these fancy juicers to make it, we do need to add a bit of liquid to get it going in the blender. I’ve tried JUST using the bananas solo but even in the best of blenders I can’t replicate the exact consistency that dang juicer does. So you’ve got to add a bit of liquid. Easy peasy and DEFINITELY kid (and adult) approved. Enjoy! 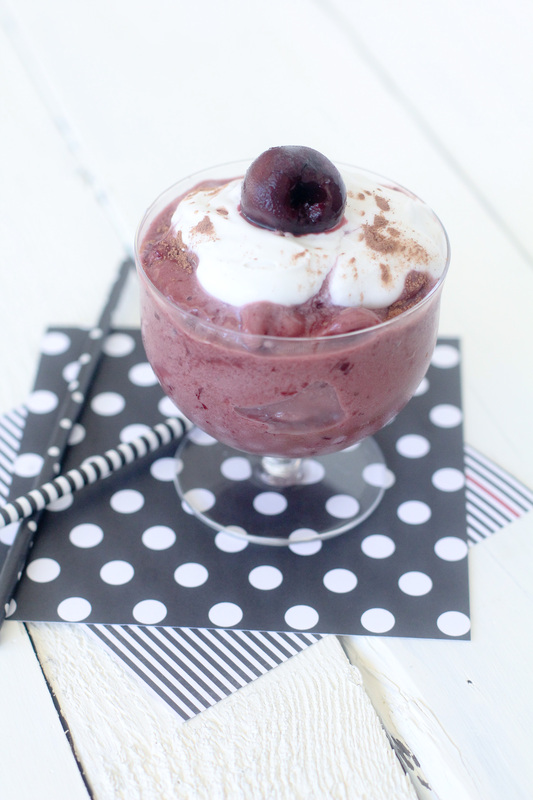 A dairy free paleo ice cream alternative with cherries and chocolate.